Yes, spring has sprung around here! Trees and flowers are blooming and buds of summer fun are everywhere, and so of course are many of our allergies. More on that in a minute . . . We were so thrilled to have one of our regular guests, Jessica Arinella, creator of the fabulous What You Can Do TV series, call in to talk about their wonderful Earth Day campaign, which was all about saving the rainforest. Listen to this week’s Green Divas Radio Show podcast for all the GD fun. BUT, please read on for even more details! We are located in what is known as “allergy alley” here in northern NJ. Green Dude Eco Ed did a nice report on some natural ways to alleviate allergy suffering. Listen to the 5-minute Green Dude segment on natural ways to help with seasonal allergies. I chimed in with my nightly health elixir that I think has helped minimize my allergy suffering a great deal — I’ve got some watery eyes and a little sinus congestion, but it isn’t bad and I’m able to get by with a little Xlear up the nose in the morning. 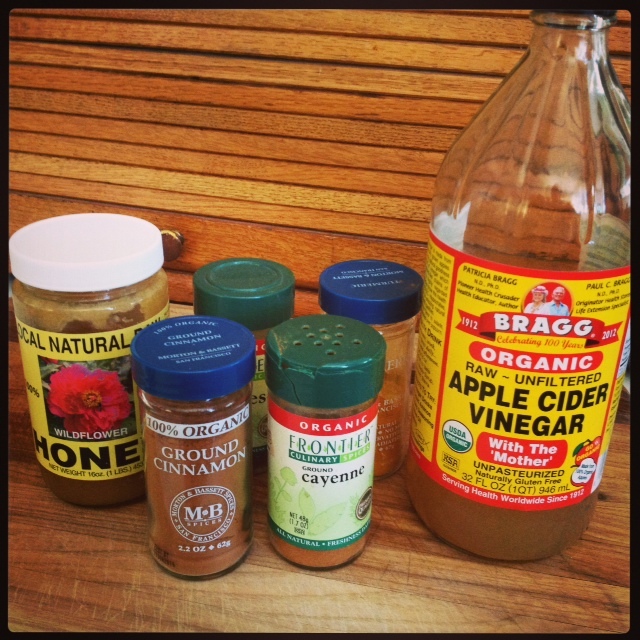 For GD Meg’s Health Elixir Recipe, please see the original GD Show post! This woman never stops. Before the show, I had been playing with plants on the back deck and I pointed out my amazing dried pumpkin left over from last fall. She decided it would make an excellent bird house and like a surgeon with laser focus on saving a patient, she started asking for implements of creativity. She made a bird house in less than 15 minutes! THAT fun tutorial is coming. 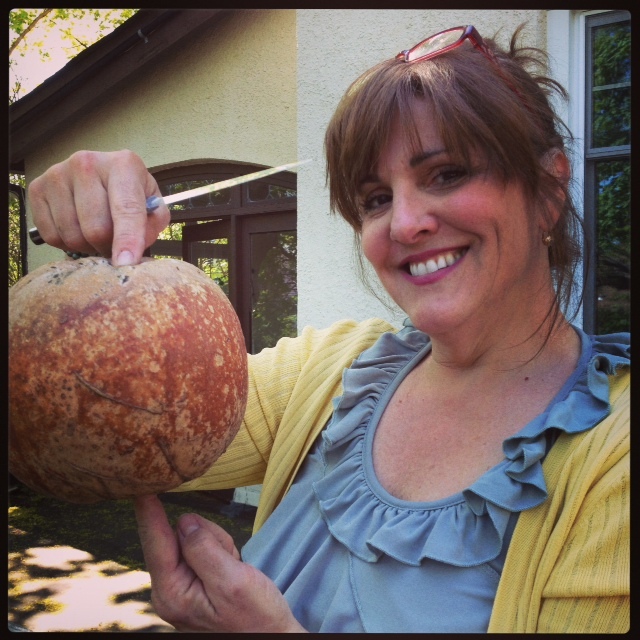 This week was part 2 of her upcycling in the garden series and she talked about a fun planter she made from materials she found at Habitat for Humanity‘s local Restore. Listen to GD Mizar’s DIY post on upcycling for the garden part 2! did you know, researchers estimate that . . .
about 1 football field of rainforest is destroyed by man every second! We always love talking to the very busy and inspiring Jessica Arinella, creator of the wonderful What You Can Do TV series. As always she and her crew are helping to highlight issues that need our attention and action. She shared their recent Earth Day campaign, which was all about saving the rainforest. 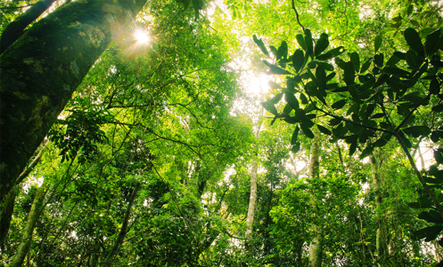 What You Can Do teamed up with The Rainforest Site to raise awareness about the vital role the rainforest plays in our global ecosystem, and offer us some simple ways to help preserve it. Watch a couple of the What You Can Do videos on rainforest conservation to learn how by just ONE CLICK, you can save 1 square foot of rainforest – DO IT! What You Can Do is a brilliant series of 1-minute videos that help debunk the theory that we are “too busy” to help. Jessica offers simple ideas in a brief format, so that no one can ever say they are too busy to make a difference. Please Listen to this week’s Green Divas Radio Show podcast for this great interview.